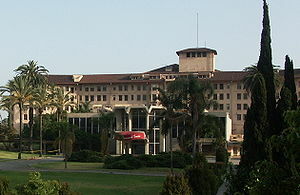 On New Year�s Day 1921 the Schines family opened the Ambassador Hotel in Los Angeles. Three thousand people, including a bevy of exquisitely gowned women helped make it a very notable event. What had once been a barley field instantly became a Mecca for the rich and famous of the world. 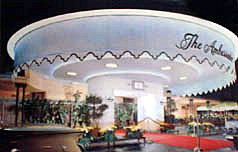 The 600 room hotel property with a collection of bungalos rivaled the best of the best, and turned Wilshire Boulevard into the 5th Avenue of the City of Angels. From the onset the Myron Hunt designed hotel was considered 'the jewel in the Los Angeles crown', and became �the place to be� for Hollywood royalty, and real royalty. It was a glamorous home-away-from-home for people like the Duke and Duchess of Windsor, Winston Churchill, Howard Hughes, Harold Lloyd, Doris Duke, Maurice Chevalier, Charles Chaplin, Charles Lindbergh, Mary Pickford, Clark Gable, Carole Lombard, Jim Garner, Robert Conrad, Robert Stack, Robert Wagner, Ronald Reagan and Angie Dickenson�to name a few thousand. The acting Barrymore family lived at the hotel during the filming of Rasputin. Rudolph Free was the original chef for the hotel. He had cooked for many of the crowned heads of Europe and was presented a medal of honor by Empress Eugenie. Chef Free and his assistant chefs had worked in Paris, London and New York, and offered the finest cuisine and service to be experienced in California to the hotel guests. At the end of the era Marvin Slaughter was the hotel Executive Chef who provided the 80th birthday cake for the �Queen of the Screen� Gloria Swanson, who visited the hotel with husband Bill Duffy to celebrate with her dear friend Adela Rogers St. Johns, a hotel resident. 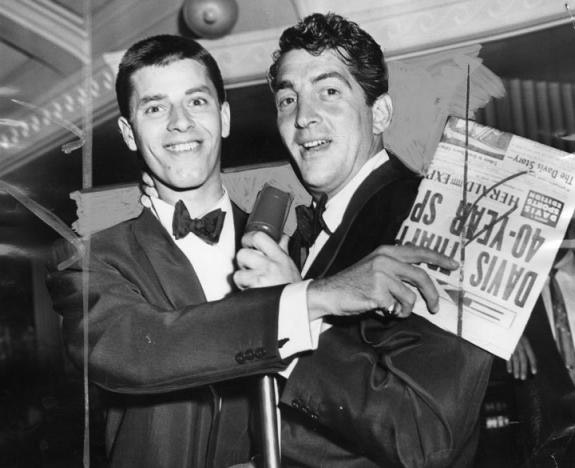 From comedy team Martin & Lewis, singers Frank Sinatra to Bing Crosby and dancers Gene Kelly to Donald O�Connor, the stage was alive with outstanding talent. 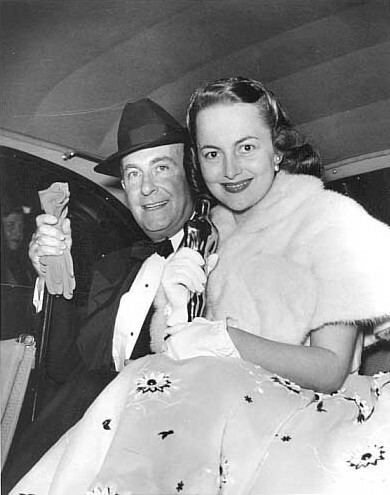 Academy award winning actress Joan Crawford won over a hundred dance competitions in the Cocoanut Grove. Merv Griffin was one of the young hopefuls who entertained at the Grove, and years later in the 90s, when he purchased the Beverly Hilton Hotel in Beverly Hills, he opened a small version of the night club and he would on occasion get up and sing with the band. 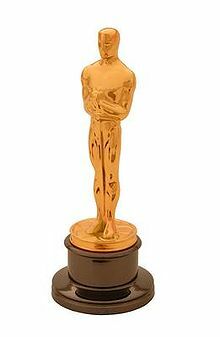 The first five Academy Awards were held at the hotel, and the ballroom would overflow with the Hollywood movers and shakers. This is where �Oscar� was born on April 3 , 1930, and soon became the symbol that everyone in the industry would wish and work for. Mary Pickford, Norma Shearer, Greta Garbo, Gloria Swanson and Helen Hayes were some of the actresses vying for the golden boy in the 30s. In 1939 �Gone with the Wind� generated more excitement than Hollywood had ever seen. Hedda Hopper, the Hollywood scribe, wrote about the huge crowds lined up to get a glimpse of all the stars attending. 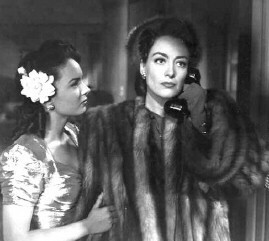 Vivien Leigh and Olivia de Havilland were both Oscar winners that year. 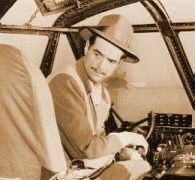 The hotel was also the home of the LA Press Club, where the print and radio press had a constant presence, beginning in 1947. Marilyn Monroe was the first �Miss Press Club�, and the Hollywood Foreign Press Association held its annual Golden Globe awards there. 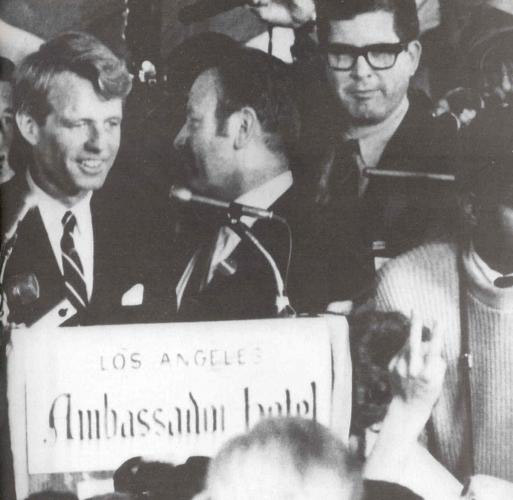 On June 5, 1968 Presidential hopeful Robert F. Kennedy said �On to Chi cago� as he left the podium following a victory speech at the hotel, and headed out by way of the kitchen where Sirhan was waiting to assassinate him. Twenty-six hours later he died in Good Samaritan Hospital. In the years that followed, the lights began to dim, and in 1989 the once grand Ambassador Hotel officially closed its doors. The use of the property was disputed for years, and The Los Angeles Conservancy and other preservation advocates finally lost a battle with the Los Angeles Unified School District to save the Myron Hunt landmark. But, following a five million dollar renovation and tear down the LAUSD opened the Robert F. Kennedy School Complex; a school for kindergarten through grade 12. The 23 acre complex contains six learning centers, underground garages, a swimming pool, state-of-the-art auditorium, soccer fields, public art pieces and a marble mural of Robert F. Kennedy. Perhaps this former hub of amazing creative talent will provide an atmosphere where children can celebrate the joy of learning and synergize with the spirit of the past to create the history of the future. I thank Margaret Tante Burk, the former Public Relations Director of the hotel, and author of �Are the Stars Out Tonight? 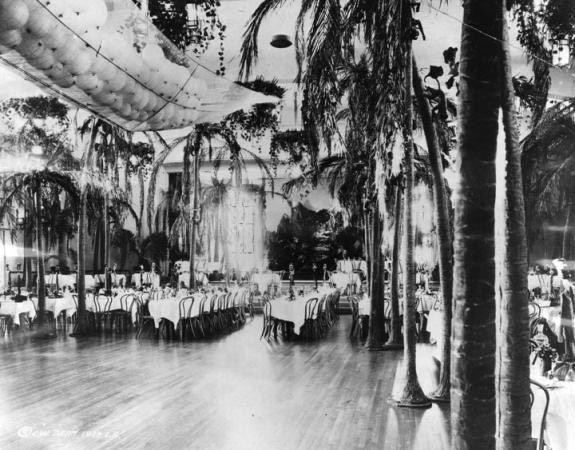 The story of the famous Ambassador and Cocoanut Grove �Hollywood�s Hotel� for providing wonderful facts for this story. Margaret was such a talented woman, and I feel lucky to have met her and to have spent time in this grand historic hotel with her.